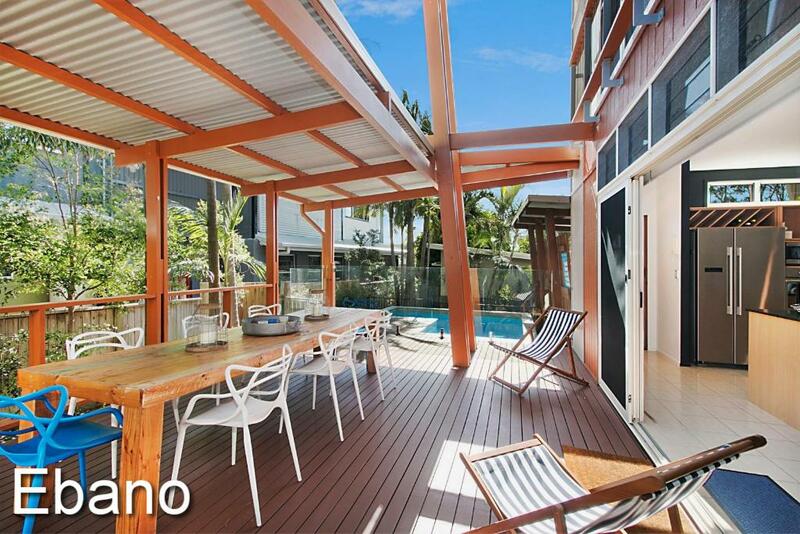 A great selection of homes in Kingscliff and Casuarina Beach. Bring your furry friend for a holiday, as these houses are pet friendly! Bedroom 4 is separate to the main house and is great for those who like a little privacy, you will need to enter the main house for bathroom facilities. The Dunes is a beautifully positioned 3 Bedroom penthouse located in the iconic Cotton Beach Resort. The Dunes boasts 3 generous sized bedrooms, 3 bathrooms, media room, open plan living and dining and an oversized north facing wrap around balcony. Shaded by natural vegetation and surrounded by lush tropical gardens, The Dunes offers space and privacy for the whole family. Exposed beams, Sisal rugs and a touch of Hamptons is ï¿½Ala Moanaï¿½ ï¿½ The name originates from Hawaii and means ï¿½footsteps to the beachï¿½ Ala Moana is just that, only meters the popular Kingscliff Salt beach (patrolled all year round) and only mere metres away from Salt village precinct (shops, restaurants & day spas).Ala Moana has three spacious bedrooms, two bathrooms, two living areas and a multiple decks around the home. Master Bedroom- king bed with ensuite. With a massive north-east wrap-around deck allowing guests to enjoy in-door, out-door living all year round. Ala Moana has been set-up with our guests absolute comfort our top priority, with a chefï¿½s kitchen, two lounge room areas, Foxtel on both TVï¿½s, DVD library, study, two bathrooms, three toilets and washrooms, internet, a gas BBQ located off the kitchen to enjoy those cooling summer breezes, fresh off the Pacific Ocean. The house also has a remote controlled double garage plus parking areas off the road. Exposed beams, Sisal rugs and a touch of Hamptons is �Ala Moana� � The name originates from Hawaii and means �footsteps to the beach� Ala Moana is just that, only meters the popular Kingscliff Salt beach (patrolled all year round) and only mere metres away from Salt village precinct (shops, restaurants & day spas).Ala Moana has three spacious bedrooms, two bathrooms, two living areas and a multiple decks around the home. With a massive north-east wrap-around deck allowing guests to enjoy in-door, out-door living all year round. Ala Moana has been set-up with our guests absolute comfort our top priority, with a chef�s kitchen, two lounge room areas, Foxtel on both TV�s, DVD library, study, two bathrooms, three toilets and washrooms, internet, a gas BBQ located off the kitchen to enjoy those cooling summer breezes, fresh off the Pacific Ocean.